My cousin just finished college and she had a graduation dinner. It was at Ciao Bello, which I had never been to, but I was told that casual attire was allowed. This meant that I could wear jeans. I also wanted to wear one of my new tops, so I asked my mom and she picked the red one. 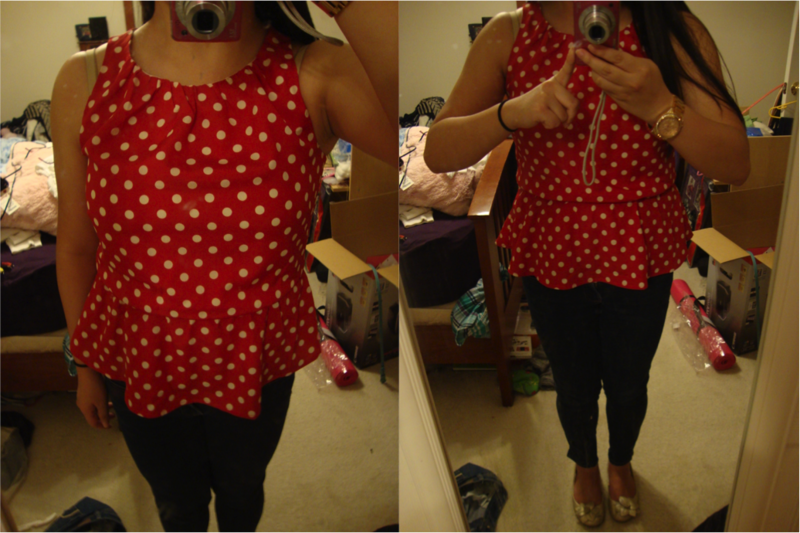 Since dolka dots and florals are really in this season, I decided to combine the two. I also wanted accessories that would be cohesive with my rose gold watch since I don’t own any actual rose gold jewelry. 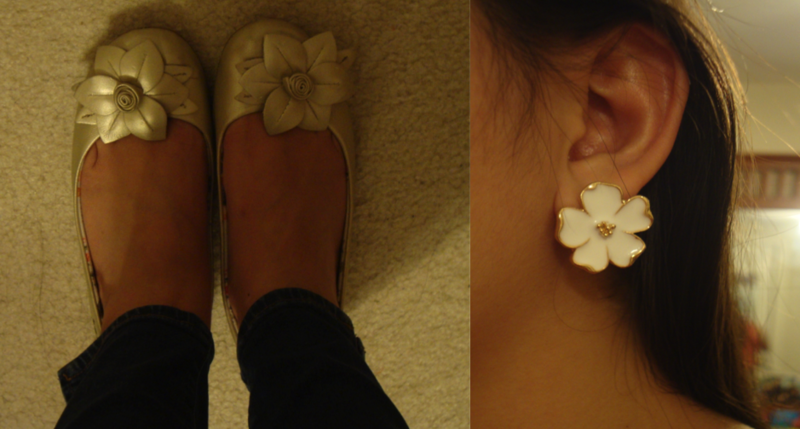 The earrings that I got from Ebay, which are white and gold, were only like $1.99! How crazy is that? I actually my order of jewelry a while ago, and planned on making a post, but never did. If you would like to see a haul of the items I purchased and would like to know about my overal experience with it, please comment below! Also, if you would so check out some cheap, cute jewelry, check out findingbeads on Ebay! *Note: This is not being sponsored. I just think that while there were some mistakes made, they have great customer service and are willing to take care of anything to make sure you’re happy! That’s it for this quick OOTN! It’s just about 1 A.M. now and I have to a busy day ahead of me tomorrow, so I’m going to call it night! I hope that everyone enjoys their Mother’s Day, and if you guys are interested (and probably even if you’re not) I’ll post an OOTD from my Mother’s Day brunch.